Don’t be silly. 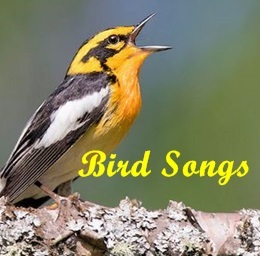 This isn’t a medley of birds singing songs but with spring in the air, it is a medley of songs with a bird in the title. There’s a Nightingale, a Baltimore Oriole, an Eagle, a Robin, a Hummingbird, a Flamingo, a Mockingbird, a Blackbird, a Free Bird, and another Robin! And I am not going to tell you who the mystery artist is on the last song. Let’s just say it’s a real oldie! Mystery singer…Is it Al Jolson?